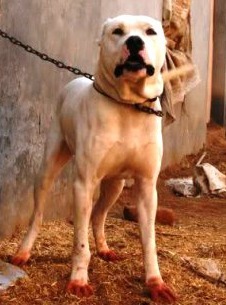 Gull Dong - A rare Pakistani breed. If you don't want to read the whole page, you could watch a 3 minute overview. The Gull Dong is a strong, muscular dog who is very loyal to his family. He is loving and affectionate to his owner but very wary and suspicious of strangers. 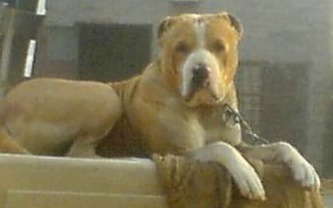 This suspicion of strangers lends this breed to being a very efficient guard dog and he is a very active and agile dog. 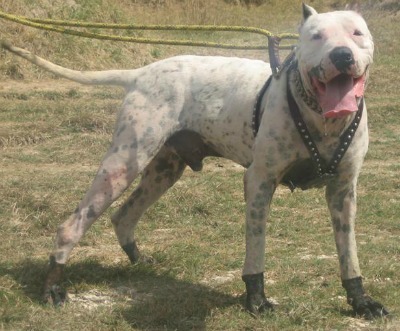 This isn't the ideal breed if you're looking for a family pet! 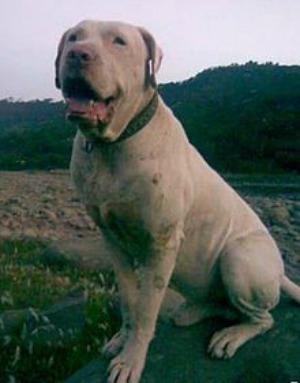 The Gull Dong dog is more suited to life on a farm or in a forest as he is a working dog at heart and needs jobs to do to keep himself stimulated. They are well known for their fierce and rather grumpy nature. 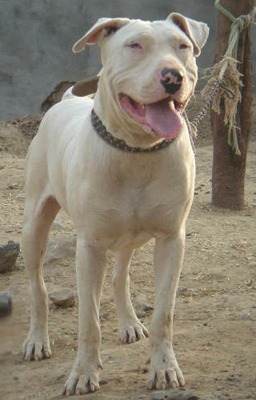 This breed of dog originated in Pakistan where it is also known as the Bully Gull Terr. 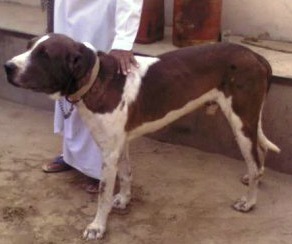 He was made by crossing a Pure Gull Terr with a Bully Kutta (Pakistani Mastiff) in order to produce a dog which had the best of both the two other breeds qualities such as the speed and agility of the Gull Terr but with the size and strength of the Bully Kutta. 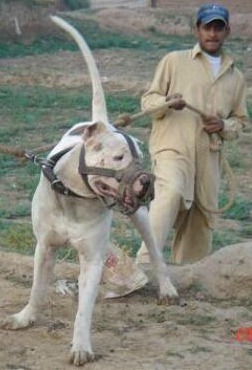 The Pakistani Bull Dog as he is also known, is very popular in Pakistan but very rare throughout the rest of the world. It is vital to train and discipline this breed from an early age. They are fairly intelligent and so will pick up basic training. You have to be VERY firm, strong and consistent. 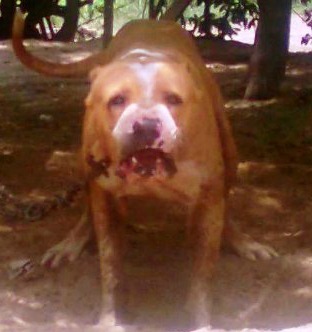 These dogs are very strong willed and can be VERY aggressive, so a very experienced owner is required. Due to their huge size they must be socialised and trained from a very early age to stop them being out of control when older. Make sure your dog knows you and your family are higher up the pack than him by not allowing him to jump up on you, sit on you, eat before you or walk through doorways before you. This will help to re-enforce to him where he is in the pack and the result will be you have a calmer, more obedient dog who is a pleasure to be around. They need a lot of exercise as they are working dogs. Room to run around safely (such as a large farm) is ideal. This is one fearsome protector who will happily fight to the bitter end to protect his territory and family. He is extremely wary and suspicious of strangers. The Gull requires very little grooming as he is short haired. Bathe him whenever necessary and give him a quick brush whenever required. These dogs are average shedders. They seem to be a fairly healthy lot! There's no known health issues although many white dogs of different breeds are susceptible to deafness so you may need to consider this. Here's a video I found of a Gull Dong with what looks like his family. He's so massive - almost as large as the little boy stroking him!!! You could find out about other Dog Breeds in the A To Z List with photos or perhaps you'd like to check out other Dangerous Dog Breeds?